Black Friday Special! Get this one before it goes away. Last weekend on the market. Beautiful Townhome style condo in immaculately maintained Stratford Lakes! Enjoy the community lake trails, club house, pool and tennis courts. 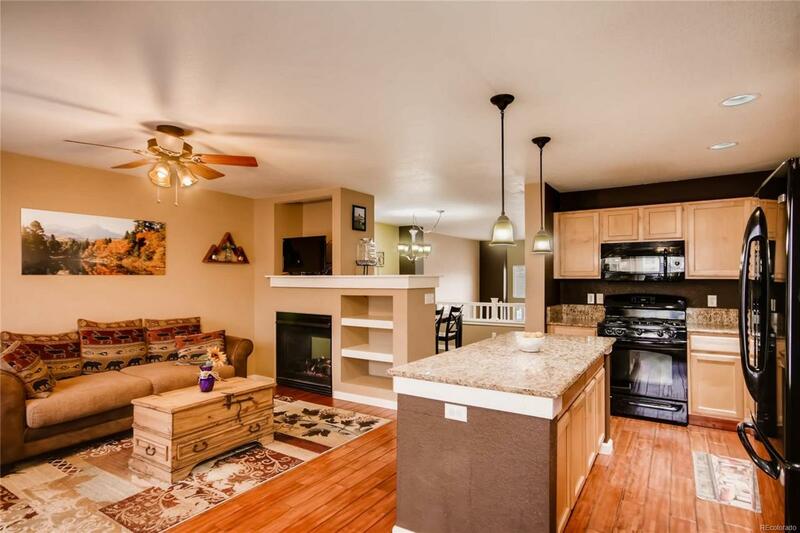 Come home to modern colors and finishes with vaulted ceilings, granite counters and matched appliances. Open plan kitchen, dining and family room with cozy gas fireplace and balcony. Five piece master suite with private, sunny balcony and mountain views. Fenced front yard, flagstone patio, xeriscaping and trees. Plenty of storage or potential for future finished square footage in the basement. Four parks within a mile and four grocery stores including Whole foods and Natural Grocers within 1.5 miles. Great home for entertaining indoors and out!